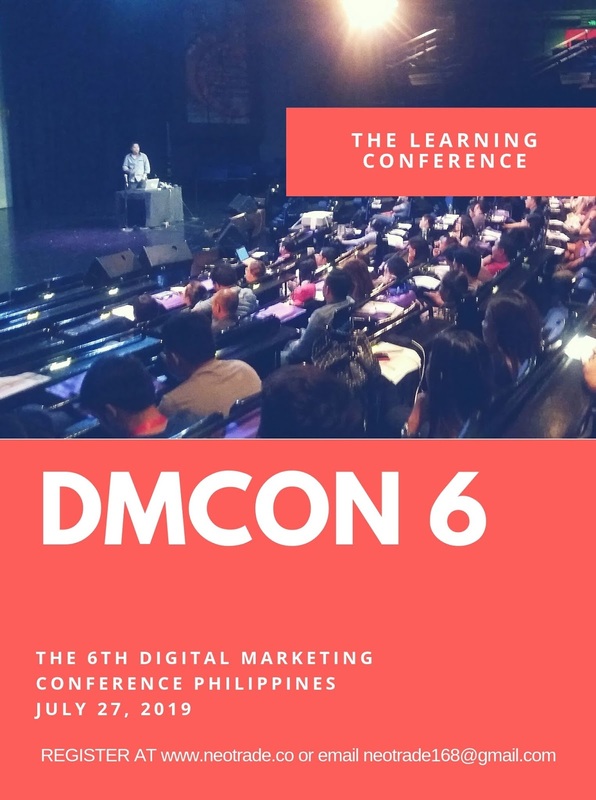 Bring your team and learn as much as you can at DMCON 6 The 6th Digital Marketing Conference Philippines 2019 , The LEARNING Conference, on July 27 2019. This power-packed learning conference brings you updated industry insights, skills, knowledge needed for marketers to plan and implement their own digital marketing strategy. 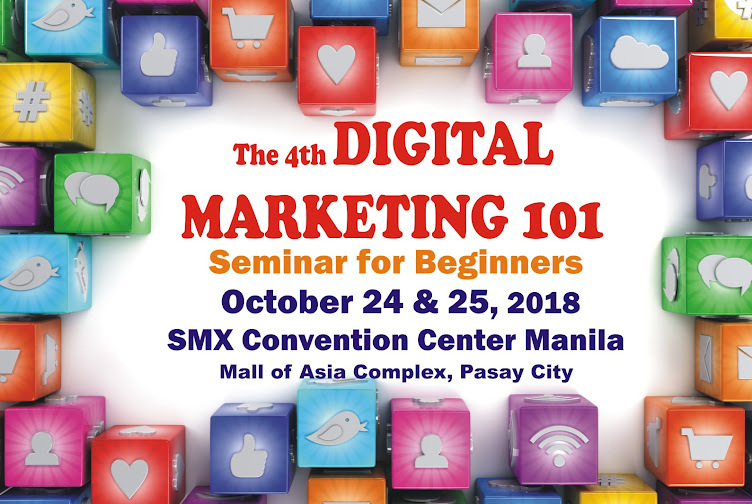 It gathers the key players and most respected digital marketing experts in the industry to share their knowledge on digital marketing essential to help you boost your company's digital campaign. It is designed for all who have basic knowledge of digital marketing and beginners are also welcome. *Organizer reserves the right to make changes in speakers, topics, venue and timings. Seats are on a first come first served basis. Credit card payments via paypal are accepted . The heat is on. 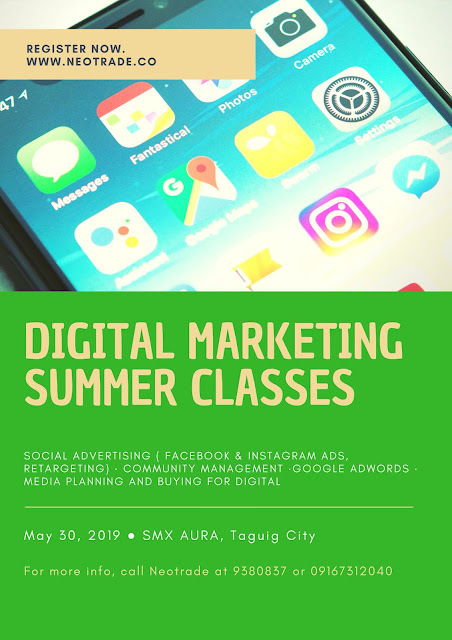 Gather your marketing team and learn steaming hot Digital Skills this summer. The summer classes are presented by Neotrade and will be held at SMX AURA, Taguig City on May 30, 2019. The courses offer theoretical lectures plus exercises from leading industry experts. *All fees inclusive of vat, certificate and pdf presentation kit 7 working days after event.